AN UNPARALLELED BUSINESS OPPORTUNITY IN THE WORLD OF WINE. Bonjour! 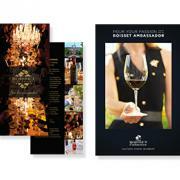 I invite you to join me and become a Boisset Ambassador and experience a rewarding career in the world of wine. Represent our exceptional collection of wines, wine-inspired jewelry, and luxury accessories for the home. You will enjoy access to our exclusive events, opulent experiences and a community that shares your passion for wine. Santé! 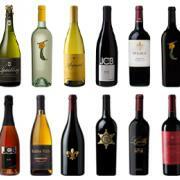 Share Boisset’s diverse collection of wines with your friends, family, and social networks. We will show you how to become a personal curator and guide memorable tasting experiences. Ambassadors have access to more than 100 allocated wines from Boisset Collection wineries in France and California. Share wines at social gatherings, in-home tastings, and online. You will represent our iconic wineries including Raymond Vineyards in Napa Valley, Buena Vista Winery in Carneros, DeLoach Vineyards in Russian River Valley, and our historic wineries in Burgundy, France. 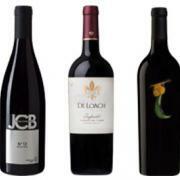 No inventory is required and Boisset Collection conveniently ships directly to the customer. When you join our team of Ambassadors you become part of the inner circle of the wine world. Ambassadors earn generous commissions sharing our wines in a flexible way that can fit into your busy life and existing career. Our Cellar Suite technology platform provides you with a personalized website, on-demand training, and digital marketing tools. Ambassadors earn 15-35% commission and additional bonuses for growing a team. Perks include complimentary tastings at our wineries, industry discounts, events in the heart of wine country, and the opportunity to earn all-expense paid luxury trips to France. It only takes a few minutes to join and launch your wine business. 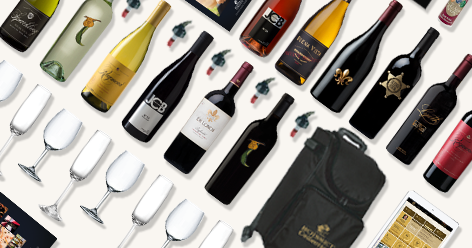 To enroll, choose an Ambassador Kit and subscribe to our Cellar Suite platform. Don't have a sponsor? No worries, we will connect you to the right person once you enroll. Tastings and Wine Society memberships are the heart of your business but you can expand your opportunity into corporate gifting, custom labels, wine-inspired jewelry, and our luxury lifestyle accessories. 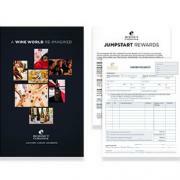 Invite others to join you in the wine business and earn additional bonuses. You will soon realize the opportunities are endless! Before enrolling, please review our current States of Operation. We provide our Ambassadors with training from our dedicated home office team, our talented winemakers and our Boisset Sommelier. We make it easy to get started quickly with the basics and provide ongoing training when you are ready to learn more. Your sponsor and our community of Ambassadors are here to support and cheer you on. Whether you are just learning about wine or an experienced enthusiast, all you need is your passion for wine and an entrepreneurial spirit. 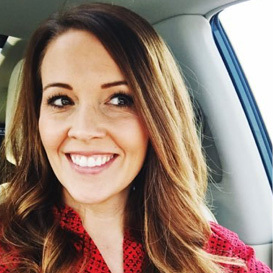 When you join as a new Ambassador you are eligible to participate in our 90-Day JUMPSTART Program which rewards you with generous product credits. 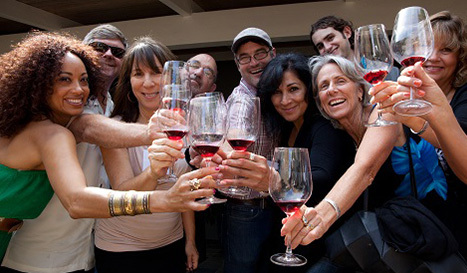 Our Annual Ambassador Retreat is a not-to-be-missed event in the heart of wine country. Earn luxury all-expense paid trips to France with Jean-Charles and experience his France, with VIP tours of the Boisset family's historic estates and vineyards. Take this journey with us as an Ambassador and discover a World of Wine REIMAGINED. You will need to start with one of our Ambassador Business Kits. Most include a selection of our wines for your launch tasting but all provide you with the essential Boisset tools of the trade. 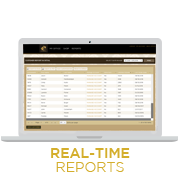 Our Independent Ambassadors also have access to our powerful technology platform Cellar Suite, which provides you with your own personal website and training for $14 per month or $120 annually. It takes only a few minutes to complete the enrollment process and you will officially be welcomed into our extended family. Your website will be live right away! No paperwork, no problem. Become a wine influencer and gain immediate access to our digital platform training tools and online marketing resources. We recommend also ordering a Tasting Experience to launch your business and taking advantage of our jump start program, where you can earn product credits to boost your business. * Image is a representation only, wines change seasonally. 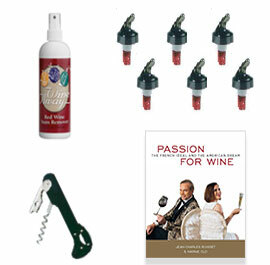 This basic à-la-carte kit with branded marketing materials, three wines, and Cellar Suite access will get you started. 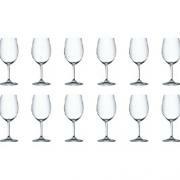 This Social-LITE kit does not include stemware or accessories for wine tastings. If you want to hit the ground running, the Enthusiast includes wines for your launch tasting, branded marketing materials, Cellar Suite access, plus Riedel stemware and accessories at a great value. Ideal for the aspiring wine professional, this kit includes wines for two tasting events, an insulated 12-bottle wine carrier, branded marketing materials, Riedel stemware, professional tools and accessories. Enjoy the authentic camaraderie, celebrate the meaningful experiences and nurture your knowledge together. What wines are in the collection? 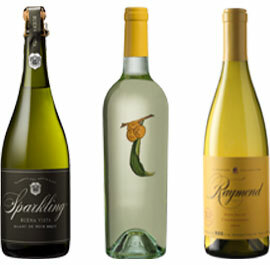 Ambassadors share a diverse selection of award-winning wines from our family of wineries in California and France including Raymond Vineyards in Napa Valley, DeLoach Vineyards in Sonoma, and Buena Vista Winery in Carneros. In addition to representing limited production and estate wines found exclusively in our tasting rooms, Curated Collection wines are available exclusively through our Ambassadors. With more than 100 allocated wines representing many regions, styles, and price you become an extension of our tasting rooms and can personally curate wines that cater to anyone from the casual wine consumer to the avid collector. 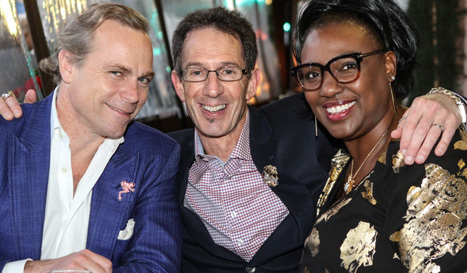 What is a Boisset Tasting Experience? The Boisset Tasting Experience is an intimate, fun and educational gathering of 8 to 15 guests ready to socialize and discover new wines. In a living room, office, or any private venue, our tastings transport guests to the world of wine through extraordinary quality and exceedingly personal service. Your Host provides the guests and the venue. You provide the hospitality and your personal style. Simply have your host pre-order a Tasting Experience and follow the simple script to create a memorable wine experience. What is the Boisset Wine Society? for an authentic winery-to-table experience. Member perks include 20-30% savings, early access to new releases, complimentary tastings at our wineries and private invitations to nationwide tasting events. Can I cancel my Cellar Suite membership? All Ambassadors must have an active Cellar Suite membership. If you cancel your membership or your credit card cannot be charged, your Ambassador account will be canceled. After 90 days without payment, your customers will be re-assigned to your sponsor. Ambassadors may terminate their account by contacting customercare@boiset.com. Annual memberships are non-refundable. Is there a minimum that I need to sell? Ambassadors are required to have 1000 in Personal Sales Volume annually, the first full year after enrollment and each subsequent year. The minimum annual sales and Cellar Suite subscription are the only two requirements to stay enrolled as an Ambassador and maintain benefits. Boisset is designed to fit your personal lifestyle, so you can commit as much time as you want to the business. If you choose to build a team, we ask you to mentor and lead by example, and therefore we do require that you submit at least 250 in Personal Volume per month to be eligible to receive team commissions. Enjoy the flexibility of working whenever and wherever you wish. What if you don’t have any wine knowledge or business background? Whether you are a wine connoisseur or simply have a passion for the lifestyle, you will flourish in this exciting opportunity. At Boisset, we are committed to your success. We provide the training and tools you need to guide tastings and grow your business. 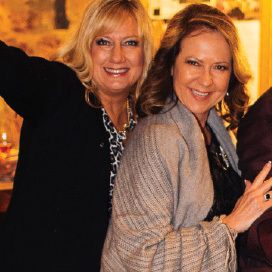 You will be empowered by our top wine experts, including Jean-Charles himself, our top Sommelier, Marnie Old, tasting room experts as well as attend incredible, wine lifestyle events. You will have access to weekly training calls and 24/7 online tools. And, of course, the amazing community of like-minded people who celebrate each others success. You will quickly become your guests’ one stop shop for all of their wine and entertaining needs. You just need a little passion! You’ll get one-on-one coaching from your Sponsor, the wine Ambassador who invited you to join, plus you'll meet other Independent Ambassadors at monthly local meetings. 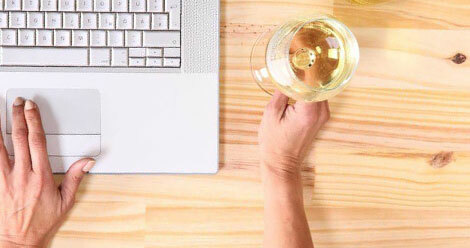 The Home Office Team, including our in-house wine makers and Sommelier provide weekly training calls, 24/7 online tools, brochures, tasting notes and guides to walk you through step by step. There are regional training events to get hands-on training from local top Ambassadors. Our national annual retreat provides you powerful business training from our winemakers, marketing team, and the chance to network with others. Our annual trip to France for top achievers is so special – it is the trip of a lifetime, with unprecedented access to Burgundy. Ultimately you will meet amazing people with a passion for wine, the lifestyle, and be integrated into a supportive community like no other. Are there detailed policies for the Boisset Ambassador program? Yes, please review our policies and procedures before enrolling as an Independent Ambassador which include the terms of being an independent contractor, how to conduct tastings, state wine shipping laws, and how to promote your business on social media. You determine your success and the time you wish to devote to your business. Some Ambassadors have full-time jobs and devote 5-10 hours a week while others make their Boisset Ambassadorship a full time career. It’s truly up to you and it may change depending on your life circumstances. 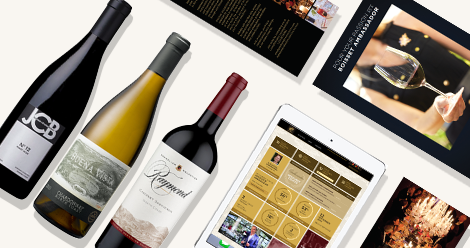 When you enroll as a Boisset Ambassador, you will choose a Business Kit which includes an initial supply of marketing materials and wines for your personal launch tasting. You will also be required to enroll in Cellar Suite, the platform you will use to manage your Boisset business which is included free for 90 days. The cost for Cellar Suite is $14 per month or $120 annually. 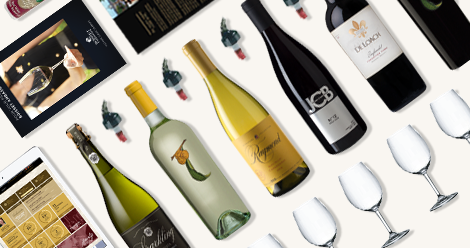 You should also purchase Boisset branded business cards from our preferred vendor and consider enrolling in Wine Society membership to receive savings on your personal purchases, though this is not required Ambassadors are not required to purchase inventory or pay for wine tastings. Tasting Experiences are purchased directly by the end consumer/host of the wine tasting. Ambassadors receive commissions twice a month and earn between 15%-35% of the commissionable volume (CV) on wines and merchandise. Other items such as business kits or business supplies are not eligible for commissions. In addition to customer and personal orders, Ambassadors can also enroll new Ambassadors on their team and be eligible to earn between 2-8% of team sales. Therefore, earnings vary widely and depend on the volume of orders received in a calendar month by your customers, any personal orders, and team member sales. For an overview of the Ambassador career plan, click here. If you would like to review the entire career plan prior to enrolling, please contact us. Yes – on your own time, in your own way. Though wine can seem intimidating, we make it approachable so you earn as you learn. You set the rules and you determine what success means to you. There are so many ways to run your business, selling online, bringing wine to social gatherings, guided tastings or more exclusive personal curation, building a team – the sky is the limit. 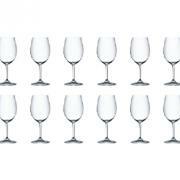 Can I sell wine to restaurants or other commercial locations? No, our Ambassadors may only act in a marketing capacity with end consumers via private tastings and may not solicit restaurants, bars, retail stores, or other commercial outlets. How are the wines sent to my clients? What if they live in a state that doesn’t allow wines to be shipped? 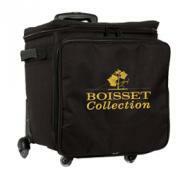 Boisset Collection ships via UPS, FEDEX, or special temperature control trucks during hot and cold weather. Currently we ship wine to 38 different states. Due to the sensitivity to temperature and weight of wine, we expect our Ambassadors to understand the shipping options in the states they service so that orders are entered with the best shipping option possible. Typically orders entered by 10AM pacific Monday – Friday will ship the same business day. For more information, please see our States of Operation for a list of states and volume limitations per consumer.